Eric Mutoro scored a total of 51 points in two matches as Ulinzi beat Nairobi City Thunder to go two up in the Kenya Basketball Federation men's Premier League quarter final playoffs at the Africa Nazarene University. On Saturday, Mutoro scored 23 points and on Sunday 28 for the soldiers to put one foot in the semi-final. In the first match on Saturday, Ulinzi rallied from 32-37 down at halftime to win 74-70. Beside's Mutoro's 23 points, John Wasika had 16 and Tiberious Menya 14. The top scorers for Nairobi City Thunder was Nathan Terry on 27, Abel Nson (17) and Griffin Ligare 12. On Sunday, Mutoro scored 28 points with Washika and Richard Osano on 13 each for Ulinzi who trailed 27-28 at half time before winning 75-56. Griffin Ligare scored 16 points and Jack Arum 15 for Nairobi City Thunder. In the men's Premier League second leg, KCA-U beat Trailblazers 54-47. They led 27-22 at halftime. David Odera scored 17 points for KCA-U while Robert Mwangi and Lenson Kisia scored 13 and 12 points for Trailblazers. Foot Prints emerged 46-35 winners over Africa Nazarene University in the first match of the women's playoff quarter final on Sunday. They narrowly led 18-16 at halftime. Purity Wachira scored 10 points for Foot Prints while Kush Vyna replied with nine for ANU. Blazers narrowly beat EMBYA 62-60 in the first match of the men's Division Two playoffs. Thomas Okello scored 23 points for EMBYA while Hillary Kubai and Joe Koech replied with 13 and 14 points for Blazers. 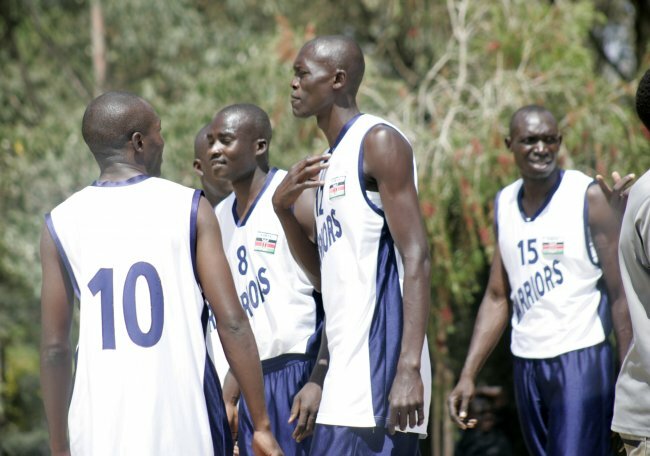 On Saturday, KDF Morans beat Little Prince 47-44 in the first match of the men's Division One semi-final playoffs. They led 24-21 at halftime. Stephen Simiyu scored 16 points and Dieter Okoth 12 for the soldiers while Victor Okoth replied with 15 for Little Prince and William Maundu added 13. Strathmore University won the third match in the quarter finals playoff against ANU. They led 27-18 at half time before wrapping it up 53-46. Gabriel Awuor scored 17 points and Keith Masinde 10 for Strathmore University while Emmanuel Atega replied with eight for ANU. World Hope also won the third match in the men's Division One playoff against Nakuru Club on Saturday. In this match, Vincent Majimbo scored 24 points and Maurice Obillo 11 for World Hope who led 33-24 at halftime before winning 75-51. James Kerio replied with 13 points for Nakuru Club. On Saturday, Zetech University edged out Co-Operative Bank 54-50 in the second match of the women's Premier League quarter final playoff. They trailed 20-25 at halftime. Debra Otieno and Lucy Mbithe scored 15 and 13 points for Zetech University. Everlyne Itabu and Florence Mbithe replied with 14 and 10 points for Co-Operative Bank. On Sunday, Co-Operative Bank turned the tables by winning the third match 53-47 after leading 27-22 at halftime. In this match, Itabu scored 12 points and Celia Asila nine for the bankers with Linda Kimemia and Rebecca Nkatha scoring nine and eight points for the students. Only a half a basket separated USIU-A Tigers and Strathmore University Blades in the second match of the men's Premier League playoff on Saturday which USIU-A Tigers won 59-58. They led 28-25 at halftime. Alex Ramzani scored 24 points and Yoni Mwanambiro 11 for USIU-A Tigers while Shilton Ochieng and Emmanuel Soja replied with 13 and 12 for Strathmore University Blades. Saturday, November 18: KDF Morans 47 Little Prince 44, Africa Nazarene University 46 Strathmore University 53, Zetech 54 Co-Operative Bank 50, Nakuru Club 51 World Hope 75, USIU-A Tigers 59 Strathmore University Blades 58, Ulinzi 74 Nairobi City Thunder 70. Sunday, November 19: EMBYA 60 Blazers 62, FootPrints 46 Africa Nazarene University 35, KCA-U 54 Trailblazers 47, Co-Operative Bank 53 Zetech 47, Nairobi City Thunder 56 Ulinzi 75.